Preliminary Approval under S242 for Material Change of Use ie Industrial to Residential. The public notification period for 53 Fairlawn St, Nathan (Application: A004679280) period has now commenced. This application is impact assessable. Residents who wish to prepare and lodge a submission (for or against) need to do so during the public notification period from Wednesday 22 November 2017 to Wednesday 24 January 2018. Good news for the residents in Nathan with work commencing on Monday 4 December (weather permitting). This is following on after negotiations with State Govenment on aspects of park ownership, equipment, and liability, plus Council's design and acquisition processes. The park upgrade will involve the removal of old equipment and its replacement with a modern and vibrant adventure play space landscaped with sandstone blocks and concrete edges to help divert run off away from property and into the nearby swale drain on the Toohey Forest reserve. Play equipment will include a multi-play piece with slide, climbing net and wall, tower with shade, stairs with hand support, sliding pole and game activities, a metal pod swing, climbing hut, Sidney the Snake Amazone, with mulch safety surface and rubber under the swing, amazon, and pad for the slide. After receiving a numerous complaints about speed and pedestrian safety along Beaudesert Road through the Moorooka Shopping Precinct; I have arranged for the installation of two 'Slow Down" LED Road signs. One will be placed on the footpath outside 120 Beaudesert Road and one on the adjacent road island. These signs will operate 24 hours a day and the installation of both signs is expected by mid December 2017. The aim of the LED program is to reduce the number of accidents and near misses at known accident hotspots through the installation of highly visible LED road signs. They are designed to activate (light up) when a vehicle is travelling above a pre-determined speed threshold on approach to the hotspot, warning them to slow down. Their positioning is intended to reduce speed through the shopping precinct as motorists approach the pedestrian crossing near Manmeet's Paradise Memorial. The proposed upgrade of Tom O'Neil Park (previously known as California Road Park), Oxley, has now commenced. Works are expected to take three-four weeks; with the playground being available for use before Christmas. 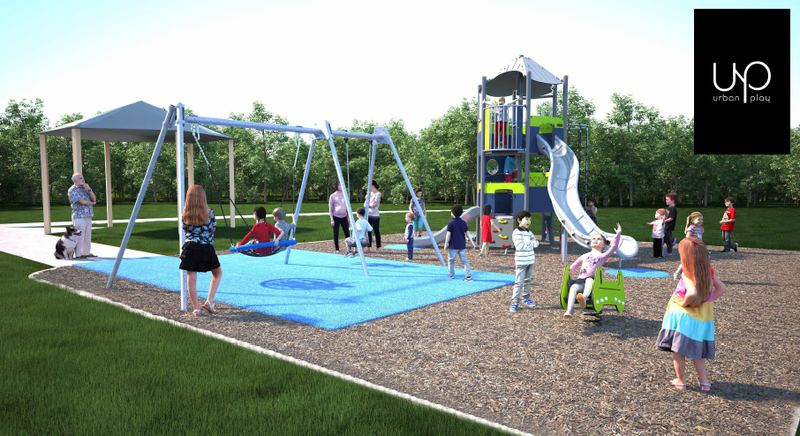 The work will involve removal of the existing swing and the installation of new play equipment including a double swing and basket, double springer and a custom megadeck tower with curved climbing net, with three height slide access. Rubber matting will be installed under the swings and slide pads. Softfall will be used to cover the remaining footprint of the play area. The existing concrete perimeter of the play space will be retained - pictures below. A quote for shade sails has been sought in the 2018/19 budget consideration. The Moorooka Ward Office offers a FREE Justice of the Peace Service, every Tuesday afternoon between 2pm and 4pm at 2/122 Beaudesert Rd, Moorooka. No appointments required. If you require a JP service outside these hours, please visit www.qld.gov.au/jps to find your nearest JPs in the community signing site and the hours of operation. Please note: The Moorooka Ward Office will be closed over the Christmas holiday period from close of business Tuesday 19 December 2017 and will re-open Wednesday 10 January 2018. The JP Service will begin again Tuesday 16 January 2018. This site's volunteers are supported by the Justices of the Peace Branch, The Department of Justice and Attorney-General. Brisbane City Council's kerbside collection is an annual service across all suburbs to assist you dispose of large household items. Check what items are acceptable here. Did you know that you can also receive free reminders before your kerbside collection by downloading Council's free Brisbane Bin and Recycling App and keep the push notifications enabled. Council's grants programs provide funding to individuals, local groups and not-for-profit organisations to develop and improve services for residents of all ages to enjoy. 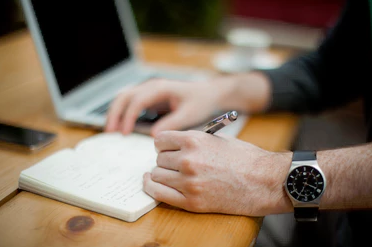 The grants listed below will help you find the most suitable grant program for you or your organisation. Community organisations can apply for funds for projects or services that respond to the housing and social needs of homeless people, or those living in social housing in Brisbane's inner-north. Funding amounts range between $2000 and $10,000. Applications are open now and close Monday 12 February 2018. 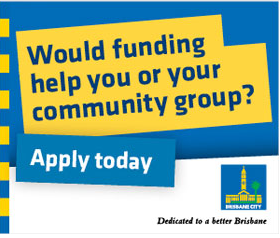 Local non-profit community groups can apply for funding for projects to increase participation in community sport, recreation and physical activity in Brisbane. Funding amounts range between $5000 and $20,000. Applications are now open and close Monday 26 February 2018. This program supports artists, arts workers and producers who live and work in Brisbane. Grants of up to $10,000 are available. Applications are now open and close on Monday 29 January 2018. Young and emerging Brisbane artists and arts workers between 17 and 30 can apply for funding up to $20,000 for national or international training and development programs. This program offers three $10,000 grants for individuals, organisations and small businesses who wish to realise their creative, unique and innovative ideas within the creative sector. Applications are now open and close on Monday 19 February 2018. For further information on any of these grants, visit Council's website or phone Council on 3403 8888. Brisbane City Council will be undertaking investigation works in the area surrounding the Oxley Road and Oxley Station Road intersection in Oxley, from mid September 2017.